Memories of Maui! 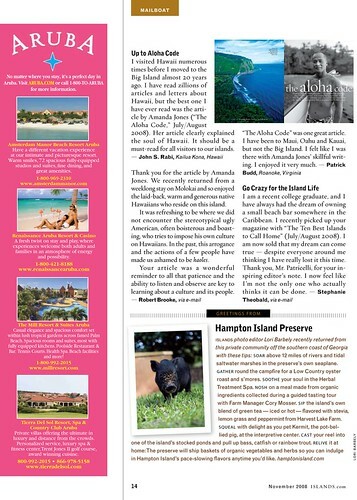 A story and shot from my recent Maui trip was just published in the November 2008 issue of ISLANDS Magazine. 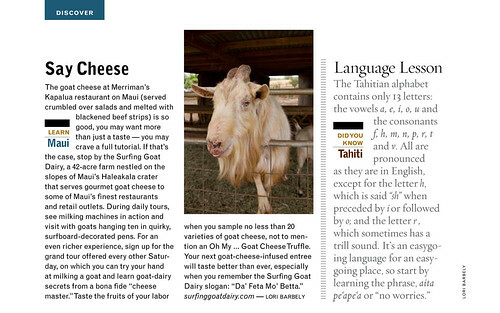 We had a blast at the Surfing Goat Dairy and it was such a fun story to do! 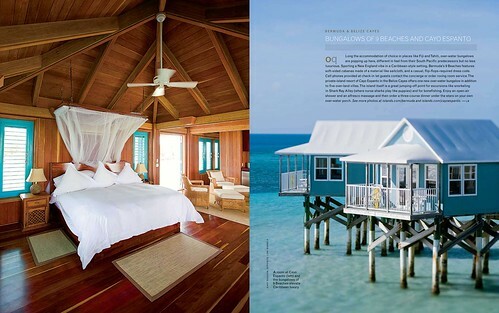 Also, a small story about my trip to Hampton Island ran in the same issue. And an image and story of the gorgeous Cayo Espanto from my tropical storm trip to Belize. The shot on the left is mine. The shot on the right of 9 Beaches is by another photographer, Gary Bogdon.